This is what I’ve been up to. Ive been cooking mad since we moved and I got into my new kitchen but we’ve been so busy I havent found time to bake. Whilst browsing the fridge this weekend I noticed a surplus of eggs and a surplus of lemons and since we’re going away soon (oh yes I may not have mentioned but I’m going to see some SUN shortly, excited much?! 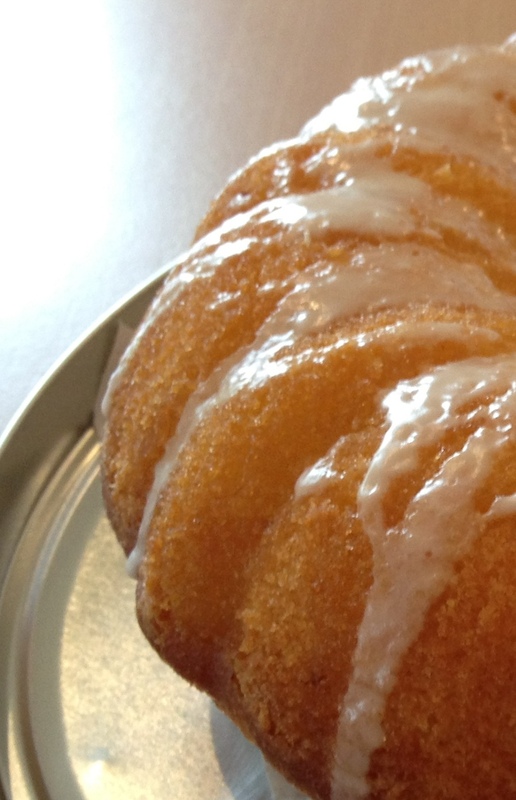 )… I thought lemon cake was in order. I love making simple pound cakes in a bundt tin as the end result is a little more exotic than a plain loaf or round sponge. As you can probably tell the volume of batter wasn’t quite tailored to the size of my tin though so he’s a little vertically challenged. That will teach me to mix up recipes and baking utensils without doing my homework properly. The recipe is also something of a mongrel. The recipe I had in my head to begin with is from Falling Cloudberries by Tessa Kiros. It’s a recipe for little lemon cakes which are just bursting with flavour but you make them in ramekins and Ive found the batter doesnt rise as well if you try to bake the same recipe in a tin as a single cake. So instead I opted for my usual sponge recipe (which comes from Jamie Oliver), flavoured with extra lemon and I nicked his lemon syrup instructions from another of his recipes for lemon drizzle cake (His Nan’s to be specific – I wasn’t using poppy seeds and the proportions were a lot less otherwise I would have just followed the whole recipe). I’ve written out the recipe as although its easy enough I can write it from memory, I combined so many bits and pieces from different places that it would be unnecessarily complicated to repeat should you wish to, but you can find a copy of Tessa’s book here which I wholly recommend and if you want to try Jamie’s lemon drizzle in its unadulterated form you can find the recipe here. preheat the oven to 180 and butter and flour your tin of choice (a std spring form or two sandwich tins would fit the batter best). Beat the butter and sugar until pale and fluffy. Add the eggs one at a time, beating them in well. Fold in the flour and then add the lemon juice and zest. Mix until its combined and pour into the tin. Bake for 20-30 minutes until a skewer inserted comes out clean. Turn out onto a rack to cool. 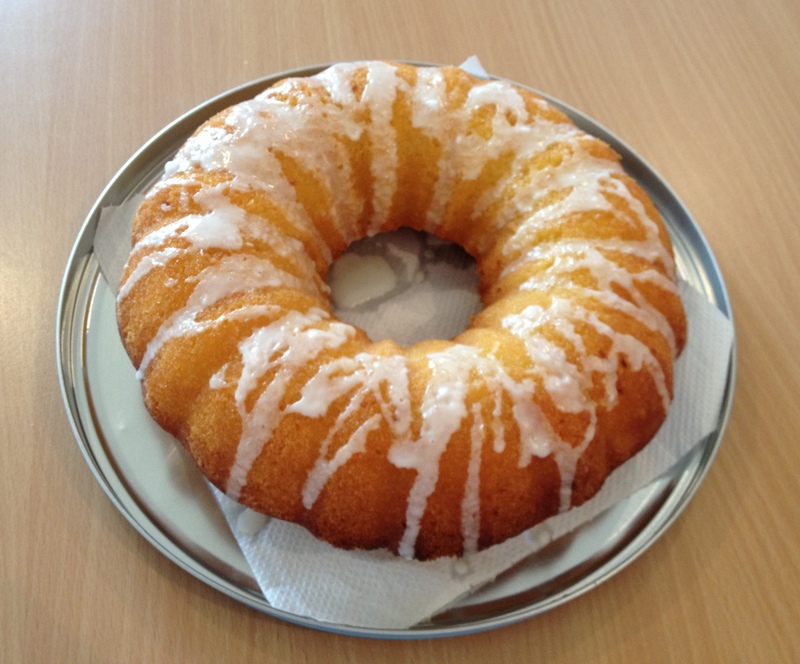 Before the cake cools, make the syrup by combing the lemon juice and sugar in a pan and heating until the sugar melts. Pour over the sponge and leave to cool completely before icing. Note, if you don’t add the syrup while the cake is warm it wont seep all the way through. Your cake will by no means be ruined but the lovely lemony stickiness will be restricted to the top layer (I remember to warn you because guests arrived as I was taking this one out of the oven and this is exactly what I did). 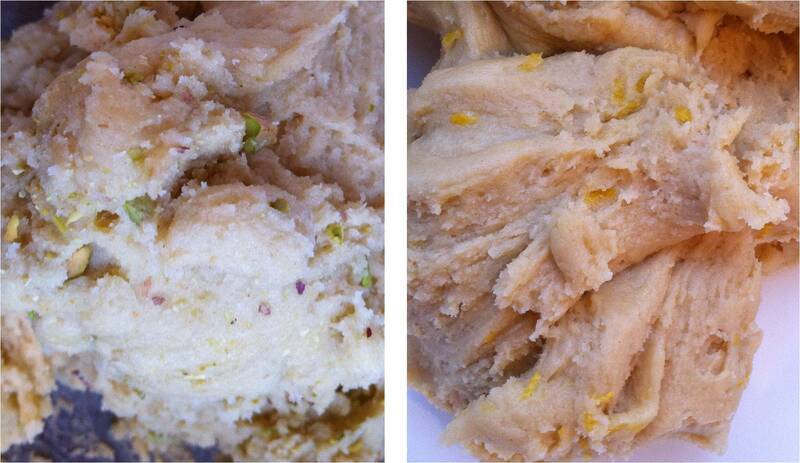 Make the icing by mixing the remaining lemon juice and icing sugar and drizzle over the top. Et Voila! Speaking of lemons, the post I promised about the July TFGE meal, Prawn and Chilli Risotto and Lemon and Pinenut Summertime Tagliarini is up on the site now if you need some more reading material. I know…I’ve been gone rather longer than a month. Sadly not because I got stuck in Sicily. Things have been a bit crazy since we got back and I didn’t want to rush just to get a post out but I have been feeling a bit guilty about not writing. This morning I finally sat down to go through our holiday snaps and gather together all the photos of food which I had greedily hoarded as we ate our way through Cefalu and Taormina. I love that photos trigger the visual memory but a memory of the smells and flavours as well. Although, its a little depressing sitting in front of a rainy window in scotland when your stomach is sitting thousands of miles away in the sun in front of a plate of crispy lemon anchovies. Anyway, back to holiday food. Don’t panic. 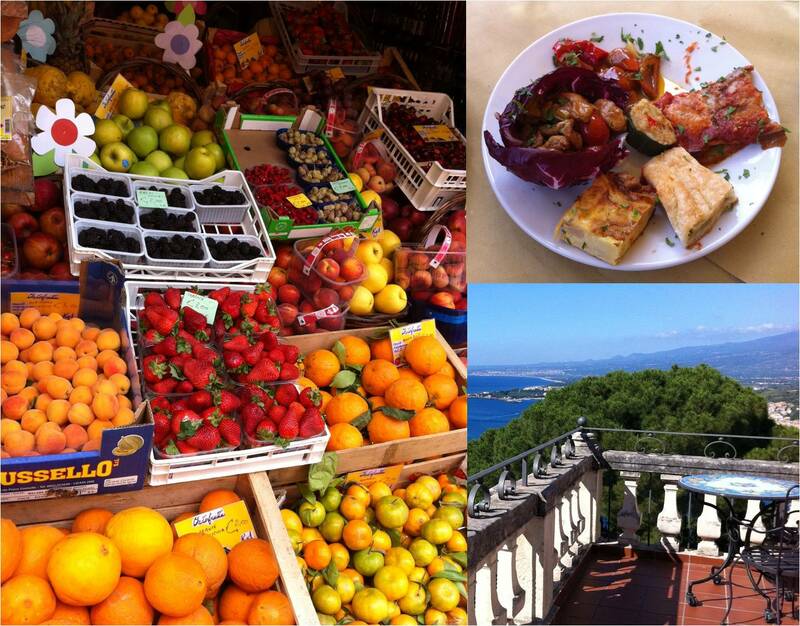 Endless adjective heavy passages about the scenery and dishes of Sicily are not about to follow (you can buy a guide book for that), but I can’t resist writing about a few dishes that I’m still getting hunger pangs over. 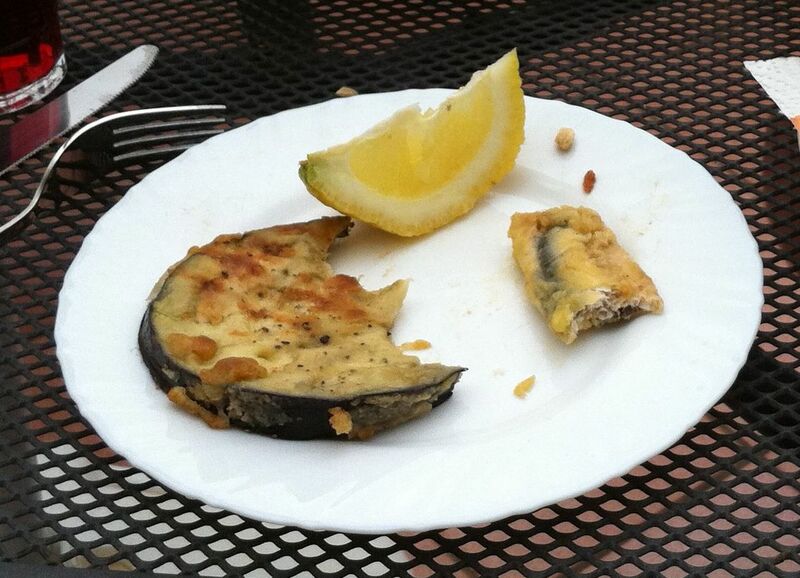 Besides discovering Piadine – (an Italian flat bread similar to a tortilla) which we made into toasties nearly every day with local cheese, tomatoes and thin parma style ham – we ate out a lot so the only dish I actually cooked in Sicily was crispy anchovies and aubergine fritters. I couldn’t resist the fishmonger in Cefalu with its piles and piles of fresh fish and I have a particular soft spot for anchovies so we bought a few large handfuls and grabbed an equally irresistible looking purple aubergine from one of the vegetable stalls and headed back to our little apartment with a view of the mountains and the sea. Everyone always says there’s no point in trying to recreate something you ate in the Mediterranean because it will never taste the same at home but although I know the aubergines will never be as sweet and firm and the extra ingredient of fierce sunshine will be lacking, Scotland has pretty good seafood so I’m not scared to make these anchovies again. Obviously I was quite limited in my access to cooking utensils so this recipe is all handfuls and pinches and its extremely simple. It doesnt really need exact measurements to work and I think that goes against the idea so I haven’t converted everything into grams and teaspoons. First gut and prepare the anchovies. Make a slit down the belly of each anchovy, remove the guts and cut off the head just behind the gills. Place the anchovy flesh side down and push down the spine to flatten. Turn it over and pull out the spine, including the tail fin. Split the flour into two bowls and season well. Zest the lemon and add to the flour for the anchovies. Heat two frying pans with a couple of centimetres of oil in each (you could also use a deep fat fryer). 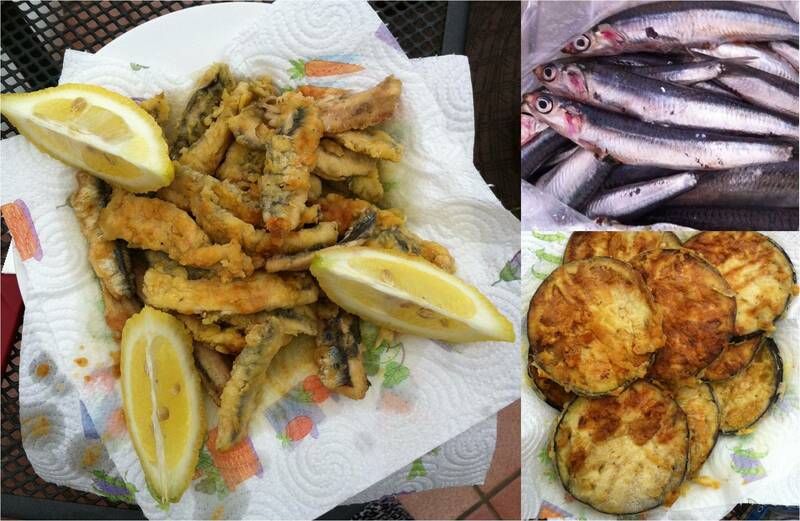 In batches, toss the anchovies in the flour, dip in the egg and then toss in the flour again. Drop them into the oil. For the aubergines, dip each slice in the egg and then in the flour and drop straight into the oil. Fry both anchovies and aubergines for a couple of minutes each side until golden and crispy. Drain on kitchen paper and serve with wedges of lemon and a green salad. My favourite meal of the whole trip was on our last night in Taormina at a little terrace restaurant called Trattoria don Camillo. When I think of meatballs I think of a heavy tomato sauce but I took the advice of our waiter and had their Polpette arrosto nelle foglie de limone (meatballs cooked in lemon leaves) and Insalata di patate con capperi e cipolle (potato salad with capers and red onion). Words wont do it justice but the meatballs were heavenly lemony and juicy despite not having a sauce and the potatoes just perfectly balanced against the salty capers and crunchy onion. Meatballs cooked in lemon leaves. Serves 3-4. Mix the mince and breadcrumbs in a bowl, then add the egg and the grated cheese and mix by hand. Season with salt and pepper. Divide and shape into plum sized balls and flatten slightly. Wrap in the lemon leaves and place on a baking tray (if roasting) or rack (if grilling). Brush with olive oil. Either cook the meatballs in 200°C oven for 10 minutes each side or on a hot grill for 3-5 minutes each side until cooked through. Serve with a light salad or green veg. 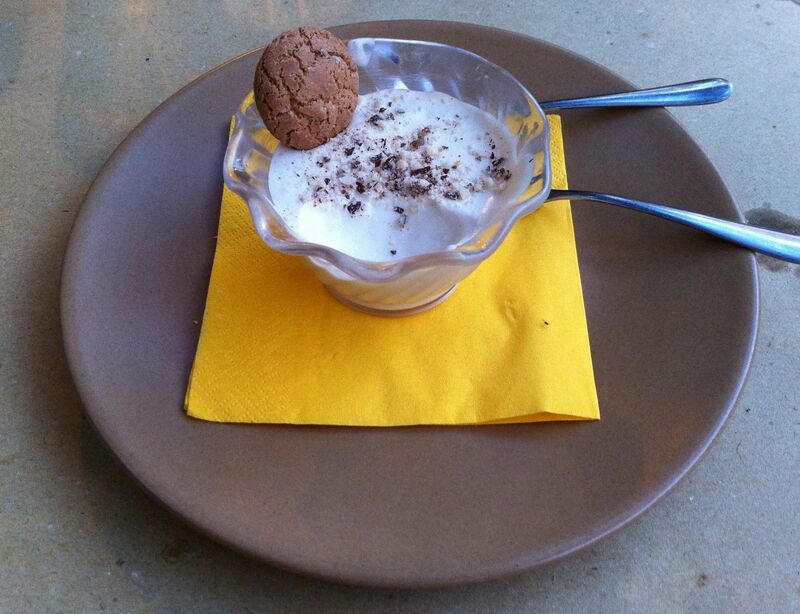 As if this wasnt enough to send me into raptures, our waiter then offered me Marsala mousse for dessert – a light and fluffy vanilla mousse delicately flavoured with Marsala wine. I could have quite happily had a second helping and I’m dying to recreate this at home with the bottle of Passito that I brought back. A wedge of cake or a crumbly biscuit and a hot mug of caffeine to dunk it in can sometimes do wonders to lift the spirits… and if that cake can raise some money for a charity that helps people who are really in need of a helping hand then the good feeling it brings is multiplied ten fold. This post began with two biscotti recipes. 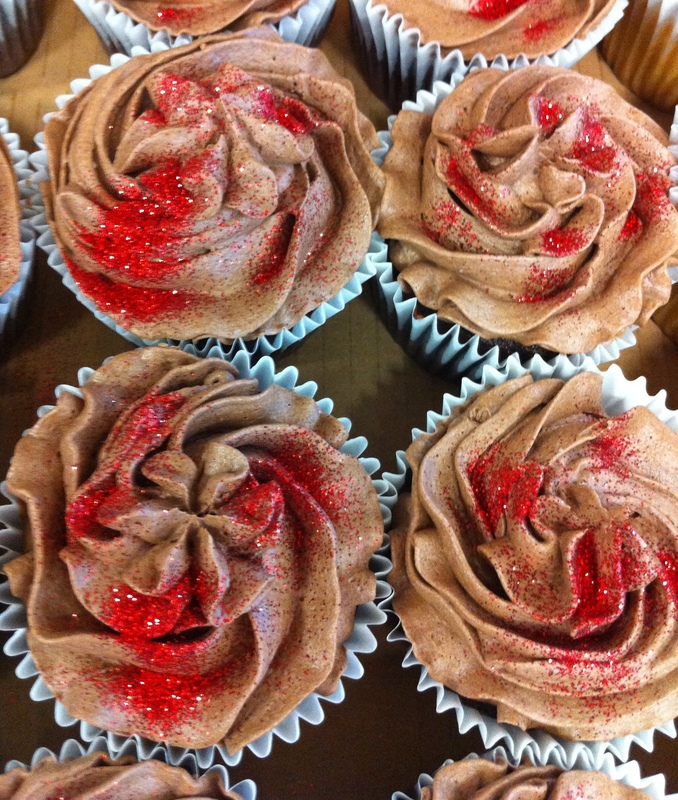 Seriously good biscotti recipes… but first I have to show you these cupcakes which were brought in for the comic relief bake sale at work because they really deserve to be given their due, as does the baker who made them. I had such a horrible week that I didn’t even have time to bake anything this time and any amateur offering I might have touted in the name of charity would have simply paled in comparison so in a way my ego is glad I didn’t (I should point out that the biscotti were long gone by this point, I’m not that selfish). The cupcakes were made by the wife of one of my colleagues at work, who has her own cake business called Regency Cakes and is clearly an amazing baker. Besides the fact that there were boxes upon boxes of the things, each one was perfectly and professionally formed and identical to its little neighbour so I can only imagine how many hours of sifting, beating, piping and sprinkling must have gone into making them all. I was so impressed and I thought putting so much effort into something with no personal financial gain, deserved a little recognition. So if you need a cake fix or you just want some inspiration, stop drooling on my blog thank you and go and have a look at Lisa’s website. 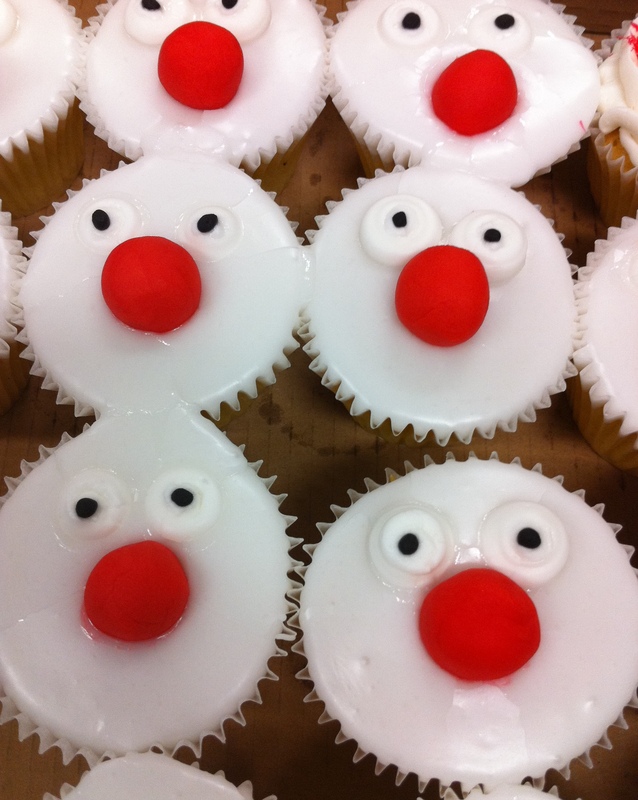 Now… onto some other clever bakers. 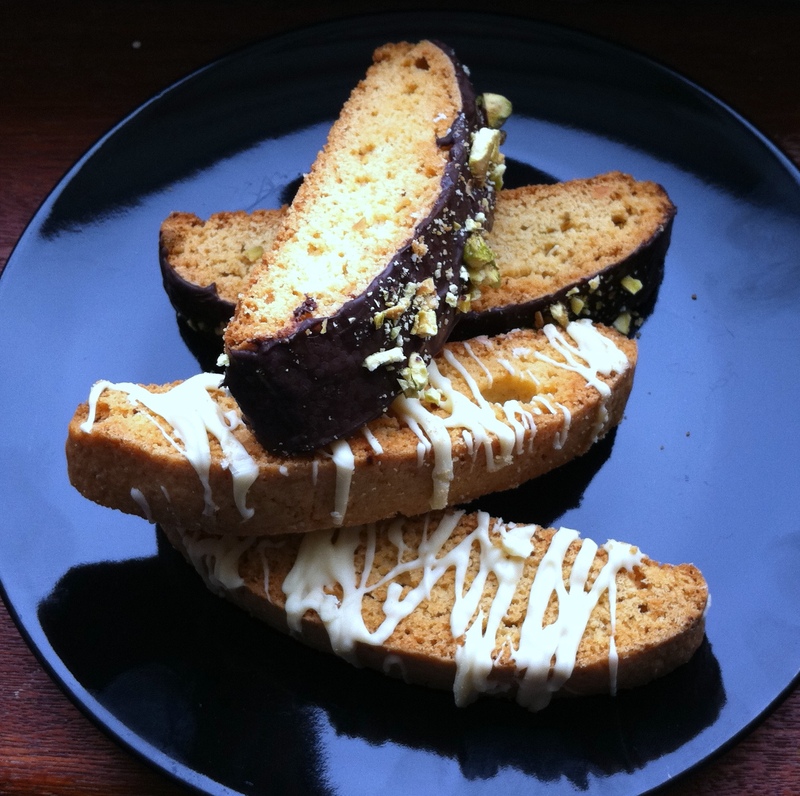 I found these two biscotti recipes on completely separate internet wanderings but both immediately peaked my interest and when I finally got around to making them I landed up combining both. The first one from Tastefully Done grabbed me because it was so simple and the picture looked so delicious. The second from Yum!Therapy looked a little more complicated ingredient wise but had me sold from the minute I saw the words “lemon” and “white chocolate drizzle” (as you’ll see from the over excited exchange I had in the comments history!). Oddly enough, both recipes were adapted from Giada De Laurentiis so that must say something about my tastes (and her baking). A couple of weeks ago I decided I couldnt wait any longer to make the lemon ones but I didnt have any cornmeal in the cupboard or any almonds for that matter. Thankfully the dark chocolate recipe didnt need either so I decided to use that batter recipe and split to make a light and a dark version. I also had some pistachio nuts that were going to land up in the bin and they look so delicious on a dark chocolate background so they filled in for the almonds on one half. As it turns out, the dark ones go really well with coffee and the white chocolate go really well with tea so your dunking needs are covered no matter which beverage you’re in the mood for. Preheat the oven to 170°C. Line two baking sheets with parchment paper. Sift the flour and baking powder in a medium bowl to blend. Beat the sugar, butter, and salt in a large bowl to blend and beat in the eggs one at a time. Stir in e thalmond extract. Add the flour mixture and beat just until blended. 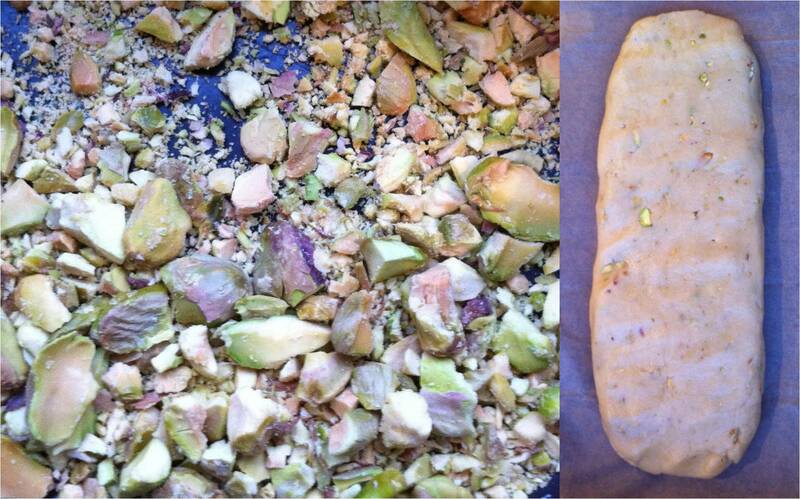 Split the dough into two and add the lemon zest to one and most of the pistachios to the other (keep a few for sprinkling on the top). If you are using almonds then add half to each dough or add them before you split it. Place the two dough balls onto the baking sheets and shape into two flattened logs, about 20cm long and 5cm wide. Bake for 35 minutes until lightly browned and cool for 5 minutes. Using a serrated knife, cut the logs crosswise into 2cm thick diagonal slices. Arrange the biscotti cut side down on the same baking sheet. Bake for 10 minutes. Turn off the the oven, but leave the biscotti in for approximately 10 minutes longer. The biscotti should be pale golden. Let cool completely. Melt the two chocolates in bowls set over a saucepan of simmering water until the chocolate melts (I did mine one at a time so that the second one could melt while I was using the first). Spatula the dark chocolate on to the tops of the pistachio biscotti and sprinkle with the extra nuts. 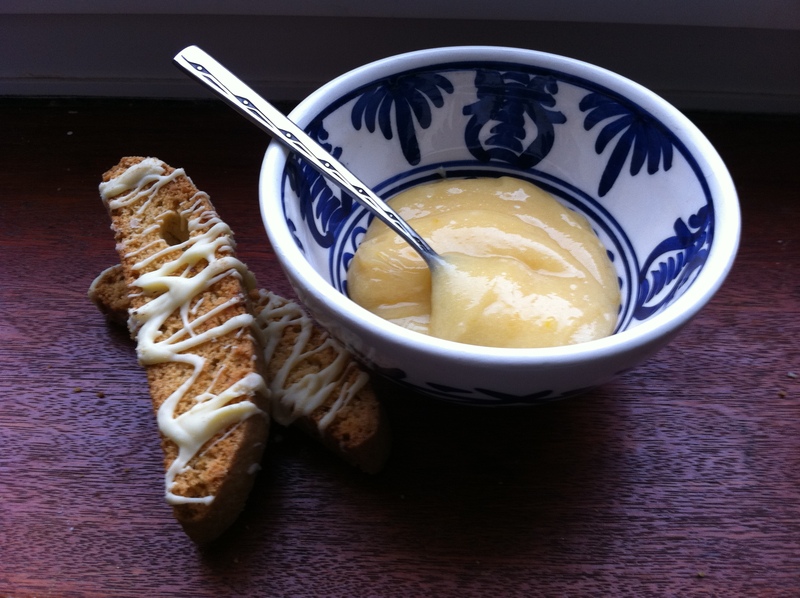 Leave the lemon biscotti on their sides on the tray and drizzle over the white chocolate. Put them all in the fridge for about half an hour for the chocolate to set and then store in an airtight container (they keep well if you can make them last long enough). If you have any melted chocolate left over I suggest spreading it out on some kitchen foil and sprinkling over any left over nuts. Set in the fridge and break into shards to use on top of deserts or as a snack when your biscotti run out (they make good writing fuel when you are typing up the results of your baking expedition!). I always think about volunteering for a charity in my spare time but I never seem to have any spare time. The one thing I can always find time for though is cooking so I’ve started sticking my hand up when they are looking for volunteers to bake for the charity bake sale at work – the charity gets a small contribution and I get to try out new recipes and polish my halo. 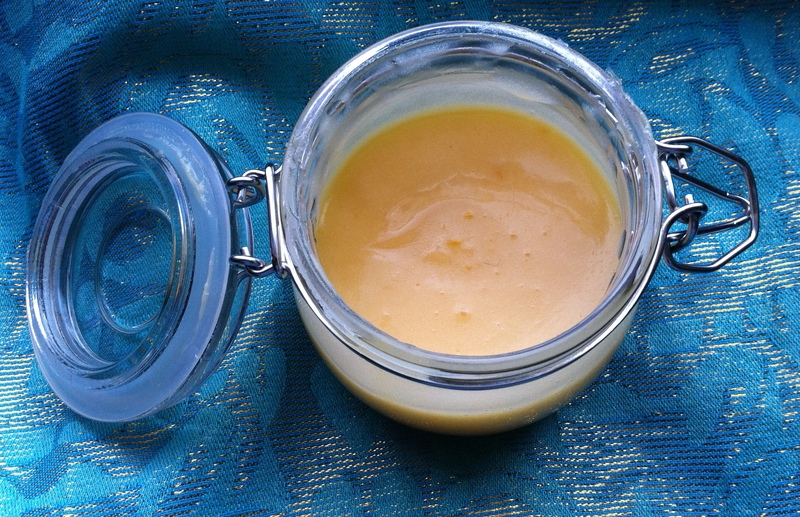 Besides good karma and the warm glow that comes from a successful experiment, I have another recipe to share with the readers of my blog. 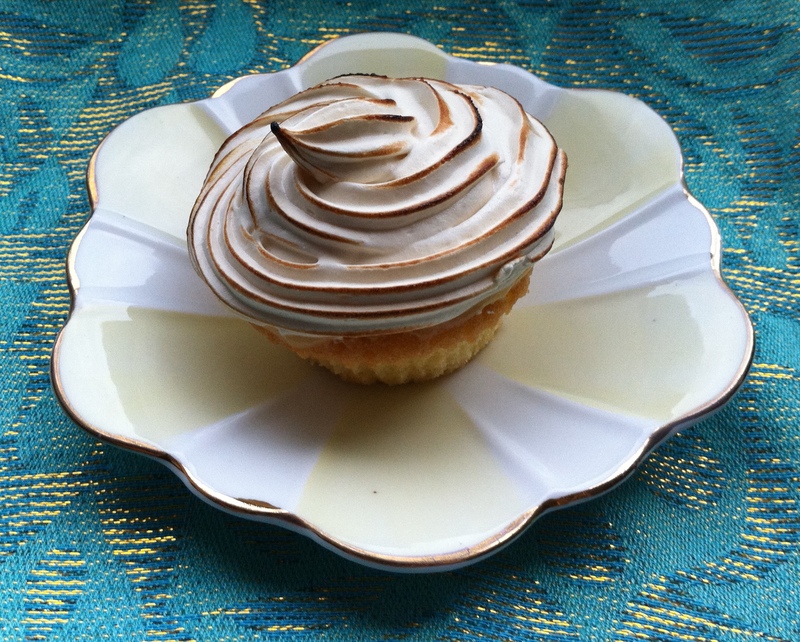 This week you get chocolate toffee saltines and lemon meringue cupcakes! For those of you unfamiliar with the saltine, it’s a salted cracker. Something that is normally friends with things like cheese, caviar, smoked salmon… well if these are its friends then chocolate and toffee is its lobster (i.e. soul mate, slightly confused food analogies there). I wish I had discovered ages ago that I could make what amounts to edible heaven, from a few store cupboard ingredients and some left over crackers. I found the recipe during a late night stumble (I should point out I’m not referring to a drunken wander round the cookery section of Waterstones, if you haven’t discovered Stumble already, click here) and although tempting, I didn’t jump straight out of bed but saved the link for my ‘to make’ list and decided to try it out on some charitable work colleagues. The recipe belongs to Lisa of With Style and Grace and was her grandmother’s. 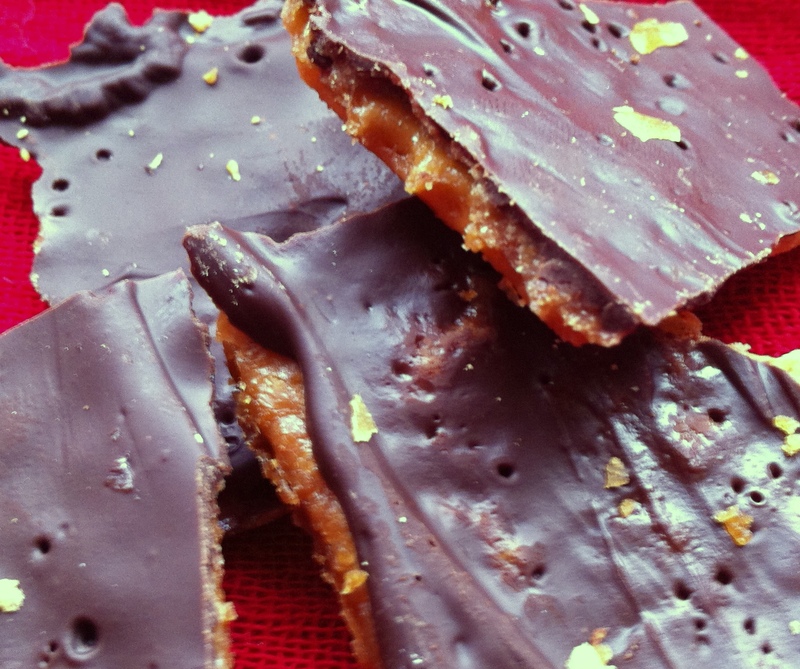 Delicious, and so simple – just crackers, butter, sugar and chocolate. This woman is a genius. The finished product tastes something like a daime bar with a sophisticated hint of saltiness. Rather than clashing as you might imagine, the hint of salt is just brings out the flavour of the toffee and the chocolate in a way that’s difficult to describe. You just need to make these and you’ll understand. I had no need to adapt or fiddle with Lisa’s recipe so if you are sensible enough to want to make them yourself just click on the link to her blog where you will find all the details (and a much better photo than mine of the finished biscuits, in case mine was making you wonder what all the fuss was about). b) a toasted caramel finish on the meringue by attacking the finished cakes with a blow torch to get the same effect as baking the pie in the oven. If you have a love of cakes (i.e. you are human) and you have a love of lemons then I can recommend these babies. Melt the butter in a heat proof bowl over simmering water. Lightly beat the eggs and whisk into the butter (I take the butter off the heat while I do this to avoid scrambled eggs). Whisk in the sugar and then slowly whisk in the lemon juice and zest. Cook over the simmering water for about 20 min until the curd thickens, stirring often. Pour into a jar and cool before using. Preheat the oven to 180°C. Cream the butter and sugar and beat in the eggs one at a time. Fold in the flour and lemon zest and pour into lined muffin tins. Bake in the oven for 20-25 min until golden. Cool on a wire rack. Put egg whites, sugar, water and syrup in a heat proof bowl and beat until mixed well. Place over a pan of boiling water and beat constantly with an electric beater while it cooks for about 7 min or until it will stand in peaks when the beater is raised. Remove from the heat and beat in the vanilla. Spread each cupcake with lemon curd (to cram in extra curd, hollow out the top of the cupcake with a knife and pour the curd into the hole) and then pipe the meringue on top. Use a blow torch to gently caramelise the frosting and serve.